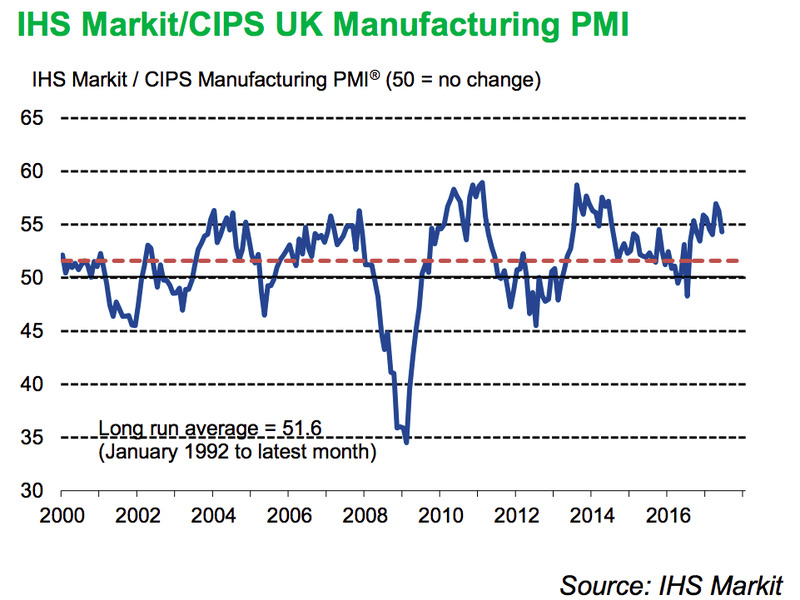 LONDON — The renaissance in the UK’s manufacturing sector enjoyed since the vote to leave the European Union last summer could be coming to an end, the latest PMI figures from IHS Markit released on Monday show. “The end of the second quarter saw manufacturers report further expansions of both production and new order volumes. However, rates of increase decelerated, as growth of new business slowed in both the domestic and export markets,” IHS Markit’s statement said. Britain’s manufacturing sector saw a reading of 54.3 in the month, down from 56.3 in May, and below the consensus of economists of 56.5. Sterling — which is around 13% lower than its pre-referendum level against the dollar — has been a key driver of the resurgence in the UK manufacturing sector since last June. It appears now, however, that that resurgence is on the wane after June’s poor PMI reading. 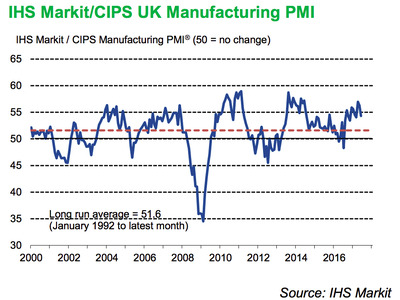 “Manufacturing activity showed signs of slowing this month, as fears that the sector would feel the impact of both the election and the start of Brexit talks materialised,” Duncan Brock of the Chartered Institute of Procurement & Supply, which helps create the survey, said.